Welcome to 2015 Summer Fun Giveaway! Sprouts Remedies – Sprouts Voice Remedy – See the review HERE. – See the review HERE. JJ Suspenders – Leather suspenders – See the review HERE. Two Rivers Bit of Everything variety pack – See review HERE. Jackpot Candles – Jackpot Candle jewelry Candle of choice – See Review HERE. B’teavon Heat Resistant Silicone BBQ Gloves – See review HERE. Yitshar Fractionated Coconut Oil – See review HERE. PumPedi – PumPedi Top Rated Foot Callus Remover – See review HERE. $15 gift card toward Barefoot Books – See review HERE. SH&SH – Hair brush – See review HERE. SH&SH –Pizza cutter – See review HERE. Chilaqua – Fruit Infused Water Bottle – See review HERE. Yumms! – Silicone Pastry & Basting Brush – See review HERE. How is your 2015 summer fun going on? I hope you are pretty much enjoying and having lots of fun! We are giving away some items for you to have additional summer fun! 3 winners will each win different prize packs as shown in above pictures. 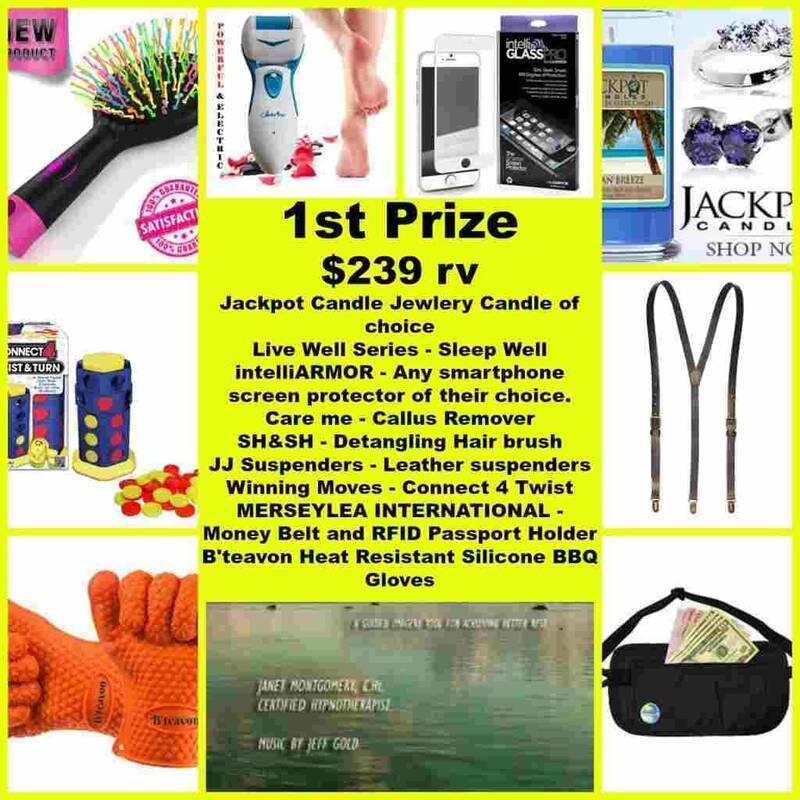 The 2015 Summer Fun Giveaway is valid in the Continental United States Only and Entrants must be 18+ years of age to enter. This giveaway event will end at 11:59 PM (EST) on 7/23/15. Disclaimer: This giveaway is in no way endorsed, affiliated, or associated with Facebook, Twitter or any other Social Media Networking Site. You are not eligible if you have won a prize from any of the sponsors in the last 12 month. The winners will have 48 hours to email their information back to las93063 at gmail dot com or a new winner will be drawn, you may want to put this email address as safe as it could go to spam. The sponsors are each responsible for shipping of the above prizes. Work Money Fun or no other blogs associated with this contests are responsible for prize fulfillment or shipping of prizes. If you would like to be a sponsor in a giveaway like this please email Laura Smith at las930 (at)gmail (dot) com. We are going to vist family that lives out of town.